Check out the updated Certificate of Constancy of Performance of the Tecwool® F fireproof Mortar, already available for download. Tecwool® F is a sprayed fireproof mortar composed of mineral wool and cement, manufactured by mercor tecresa®. It is specifically designed for fire protection in all types of structures and facings presented in construction. It provides the fire resistance required by the Spanish regulation in force, CTE DB SI and RSCIEI, as well as an extraordinary performance in thermic and acoustic insulation. 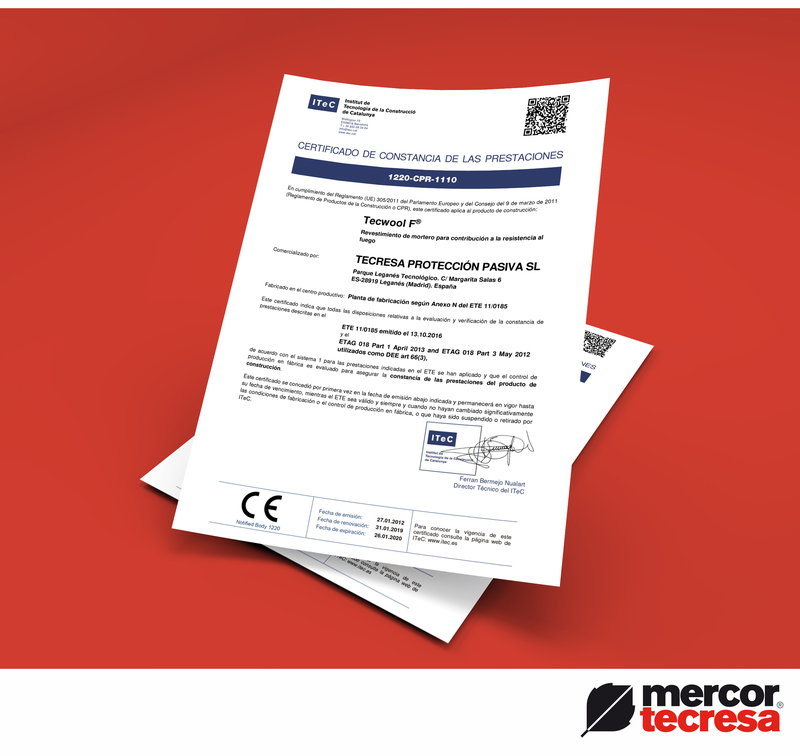 Thanks to this certificate and the Declaration of Performance, Tecwool® F keeps the CE Mark as a major guarantee of compliance of its services. In consequence, our fireproof mortar is still a point of reference with the greatest support in the market in terms of certifications and test reports. You can check out or download the Certificate here.